Student Loan Debt in Bankruptcy | Groce & DeArmon, P.C. Both the federal government and private institutions like banks offer loans to students who can’t pay for their entire education on their own. Typically, student loans are not dischargeable in bankruptcy. However, there is one exception. If you prove that repaying your student loans would cause an undue hardship, you can get rid of your student loans in bankruptcy. 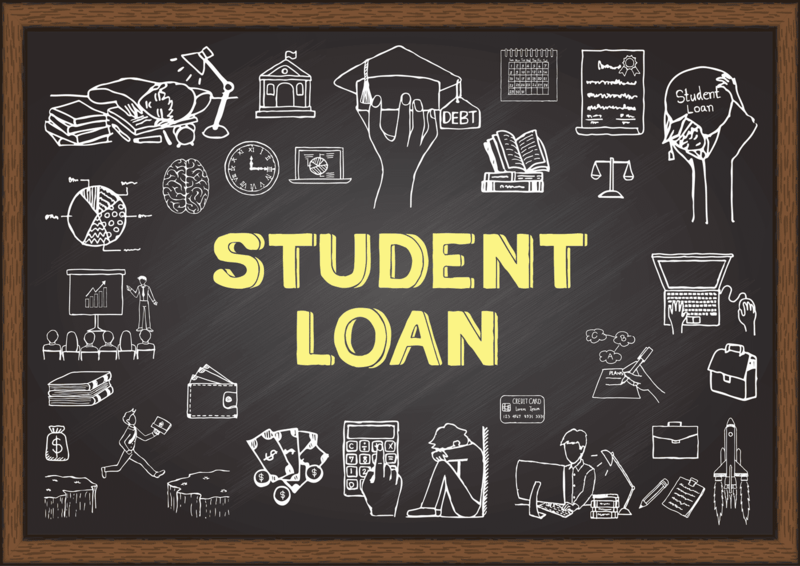 In today’s blog, the bankruptcy attorneys at Groce and DeArmon provide an overview of student loan debt in bankruptcy. Undue hardship is defined as an action requiring significant difficulty or expense. You must prove that it would be an undue hardship for you to pay your students loans in order to have them discharged in bankruptcy. Tests for determining undue hardship can change between courts and are commonly an all-or-nothing scenario. While most courts are unwilling to discharge a student loan, you may have a better chance if you have low income. The Brunner Test is the most common test used among courts. Under this test, you can discharge your loan if you meet three factors: poverty, persistence, and good faith. Poverty refers to your current income and expenses. You meet this factor if you cannot maintain a minimal standard of living for yourself and for your family if you repay your loan. Persistence refers to your financial situation likely continuing for the term of the loan. To meet the good faith factor, the court wants to see that you made a strong effort to repay your student loan by attempting to find a workable payment plan. Courts use other tests to judge whether a particular borrower has presented an undue hardship. In the special test associated with Health Education Assistance Loans (HEAL), you must show that the loan was due more than seven years ago and repayment would dictate an excessive burden on your life. The Totality of Circumstances Test is similar to the Brunner Test. Talk to the local bankruptcy attorneys at Groce & DeArmon to find out the test used in your jurisdiction. In order to have a student loan discharged through bankruptcy, an Adversary Proceeding must be filed. This is a lawsuit within bankruptcy court where a borrower claims that paying the student loan would create an undue hardship for him/her. If you successfully prove undue hardship, your student loan will be completely canceled. Assuming you can discharge your student loan debt, bankruptcy may be a good option for you. In most instances, your loans are not discharged in bankruptcy. In Chapter 7 bankruptcy, you’ll owe your student loans when your case ends — if payment of your loans is not an undue hardship. If you’re unable to wipe the slate clean, Chapter 13 bankruptcy can help you set up a plan to pay a reduced amount. However, you will still have to pay the remaining student loans after your repayment period ends. The Brunner Test and other standards are often applied to Chapter 7 and Chapter 13 debtors in many court cases. If you have a considerable amount of student loan debt, it’s wise to meet with a local bankruptcy attorney. If you decide to appeal the discharge issue in bankruptcy court, you’ll want an attorney to represent you. Groce & DeArmon, P.C. are the bankruptcy attorneys you can trust. Contact us today so you can get off to a fresh start. Bankruptcy and Foreclosure: What Happens to My House If I File Bankruptcy? Bankruptcy and Repossession: Does Filing Bankruptcy Remove Repossession? We accept client payments by either check, cash, cashiers check, money order, VISA, MASTER CARD & DISCOVER. Debit card if the client is paying the fees or a credit card if someone other than the person who is filing is paying the fees..
DISCLAIMER NOTICE: The information contained on this site is provided free of charge, and as a courtesy to all visitors to the site. It is not intended to be relied on, or used as a substitute for actual legal counsel in regard to any of the matters discussed. Although every effort has been made to provide accurate information, the laws change constantly in this area, and all operators and providers of this site, including the authors, Attorney Shari K. DeArmon, and Groce & DeArmon, P.C., specifically disclaim any liability or warranty for the accuracy, or currency of the information contained. The best advice, if you find yourself confronted with any of these issues, is to contact and retain the services and counsel of an Attorney who practices in this area, such as Shari K. DeArmon, where you can discuss the specific facts and circumstances of your case as soon as possible. USE OF THIS SITE DOES NOT CONSTITUTE OR CREATE AN ATTORNEY CLIENT RELATIONSHIP. COPYRIGHT NOTICE: This Web site, it's design, format and the text and material contained, except quoted statutes, are protected by copyright law. All rights reserved. Copyright April 2005, September 2005, Shari K. DeArmon, Atty. and Groce & DeArmon, P.C.